sportssoccer: Sports: News-Editorial: Award-Winning Evansville Photographer: Molly Bartels specializing in editorial, wedding and art photography in Evansville, Indiana. 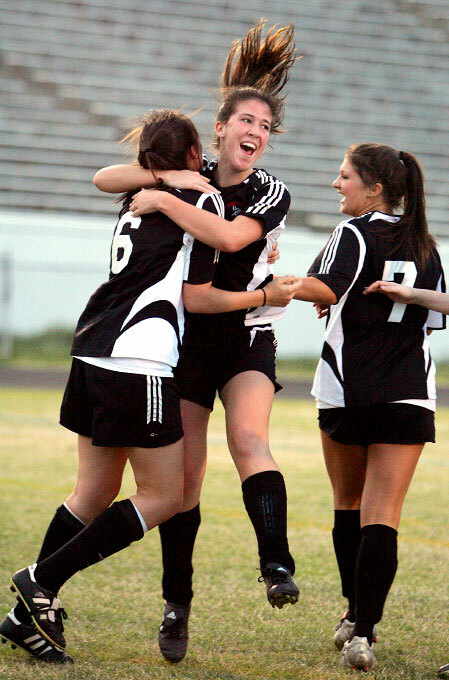 Frances Johnson, left, Leigh Rolandelli, center, and Ashton Lewis, right, of Northwest Guilford High School celebrate the first and only goal during the first half of their game against Grimsley High School in Greensboro on Tuesday, March 27, 2007. Northwest Guilford beat Grimsley 2-0.